25°International Seminar for Language Teachers – Senza Parole! – Eaquals 25°International Seminar for Language Teachers – Senza Parole! Since 1989 Dilit International House has been organizing a seminar for language teachers coming from all over Europe. 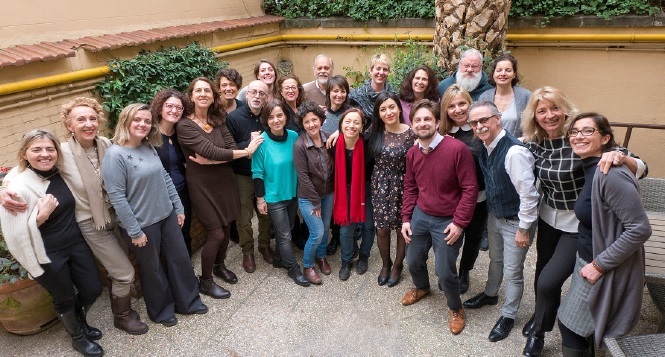 Most of the participants are teachers of Italian (not necessarily native speakers) but there is also a good number of teachers of other languages; English, French, German, Spanish and Danish. The seminar consists of a series of workshops held in parallel, prepared and presented by a team of Dilit teachers. Amongst other things, audio and/or video recordings of students in class are presented and analyzed together with the participants. Guest speakers, experts in the field of language learning are also present. This year the theme of the seminar, which will be held at our school on the 13th April, is Senza Parole!. The focus will be on oral production and more specifically on how to improve accuracy and fluency. More than 100 teachers coming from various countries in Europe are taking part and as always they will play an active role and get the chance to put in practice the activities proposed.